Last Wednesday while on vacation in the Outer Banks, the DH (yes, he went along) to Knitting Addiction, a yarn store in Kill Devil Hills, NC, right along US 158. It’s a neat store! 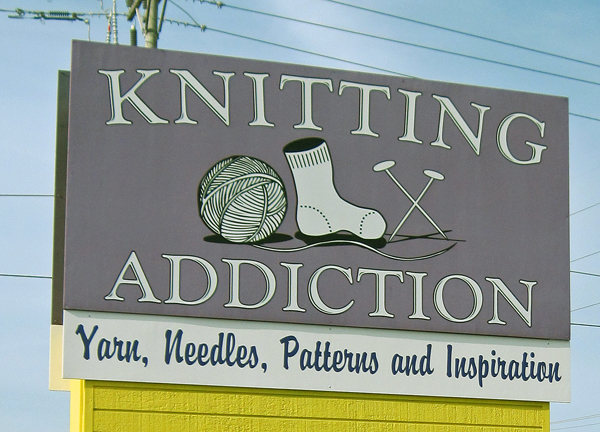 Knitting Addiction has a nice selection and caters both to locals and people visiting the area. It’s a welcoming place. 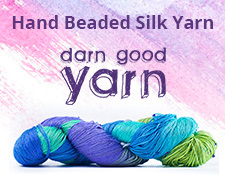 They carry some beautiful hand painted yarns, along with some the usual high-end LYS stock. Good stuff! Knitting Addiction also has a lot of accessories, t-shirts, knitting bags, and books. Oh, they also have couches for knitters and crocheters to hang out, and cat named Purrl. I love the owner’s Bad Dog Wall of Shame. After telling her the story of Alfred and my yarn, she showed me a photo of the destruction two Shih Tzus did to a scarf. The aftermath was not pretty. Let’s see, what did I get. I realized the dangers of taking the DH to a yarn store: he picked out a project that me to make for him! It’s a nice, gray polar fleece yarn hat. I need to get the needles for it, but it should keep his fuzzy head warm in the winter. I also got some purple and white ruffle yarn that because a scarf for the craft show, a knitting bag that states “Paws off my knitting,” and one of the self-published book of patterns that Knitting Addiction has. I might get the second one because the first one, the one I have, is wonderful! 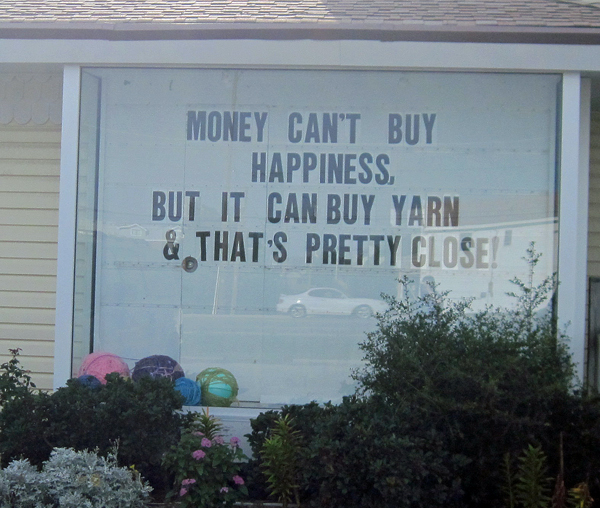 It’s a good addiction, and for knitting and crocheters in the OBX, this place is happy to supply.